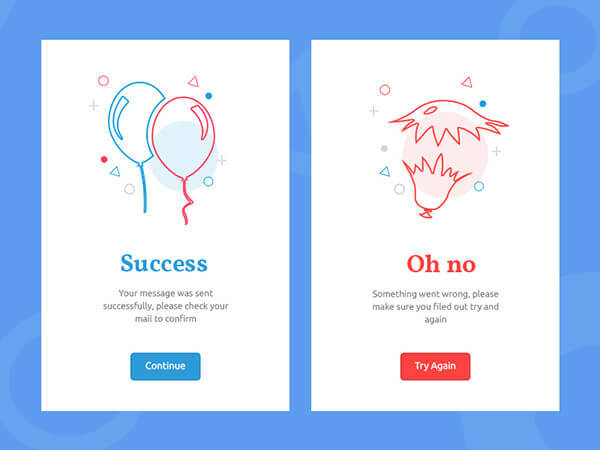 Success/Error message is one of the commonest message window we see on the web. 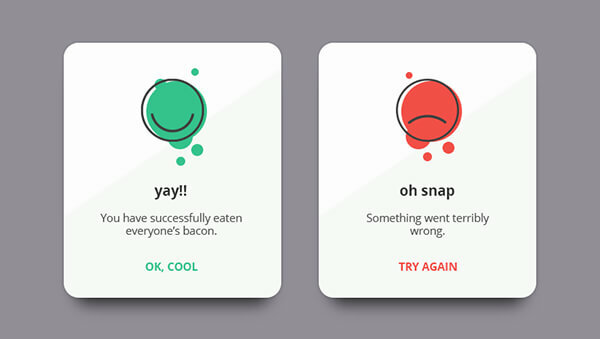 It is usually used as a feedback message shown after certain operation. 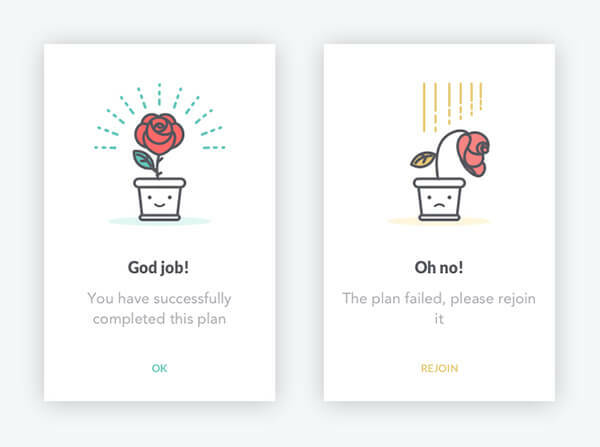 Of course, everyone likes to see the success message. 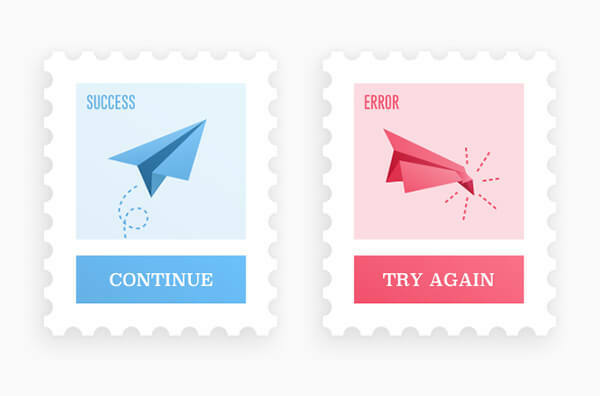 However, in the real world, we can’t avoid “Error” message totally. 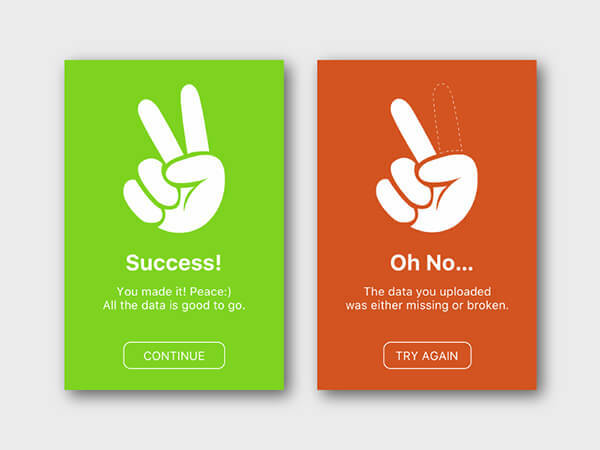 Although it is not pleasant to see “Error” message, while a well designed “Error” message can ease frustration. 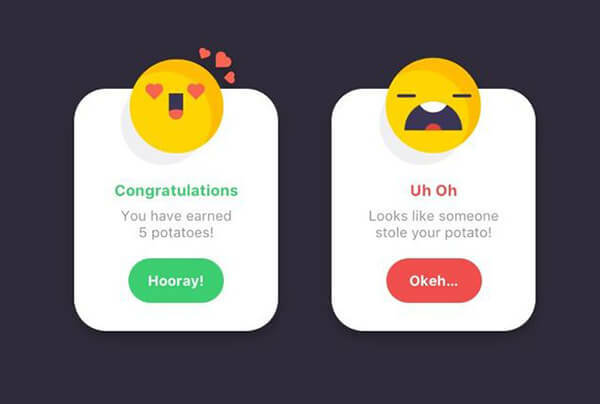 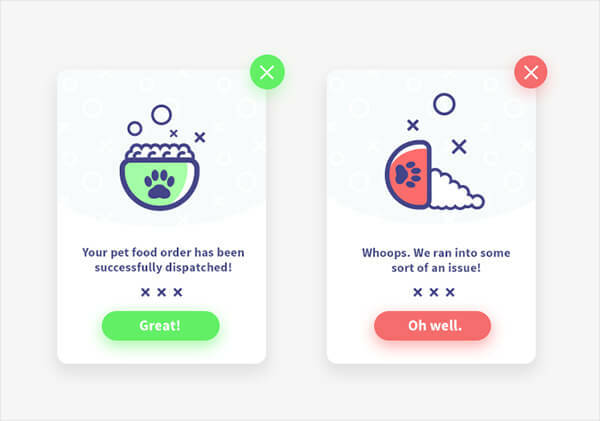 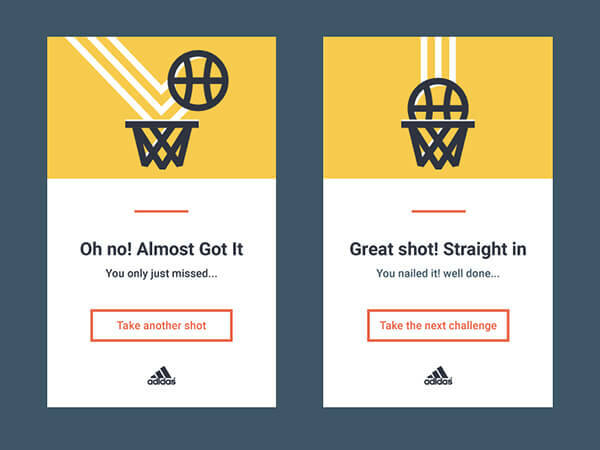 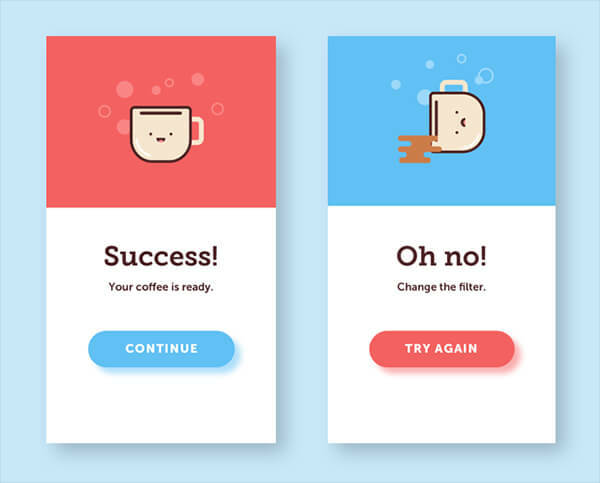 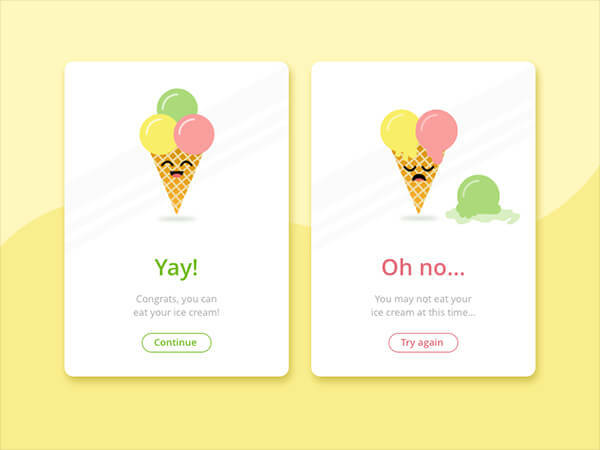 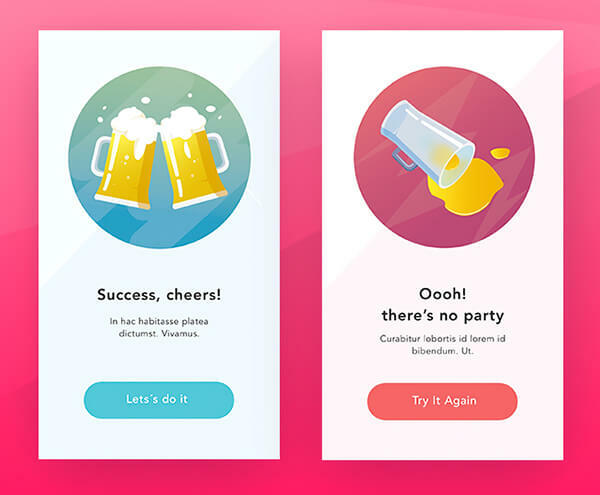 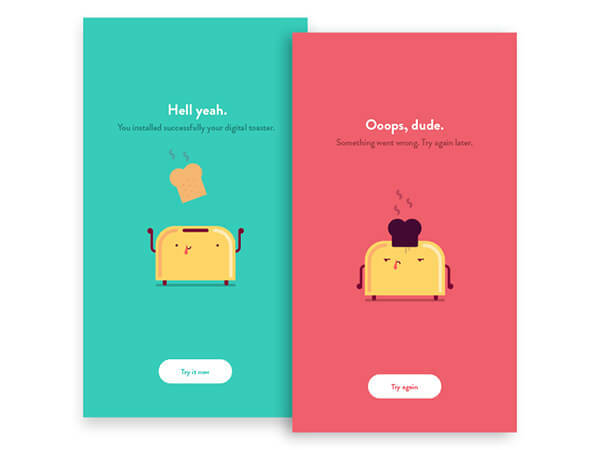 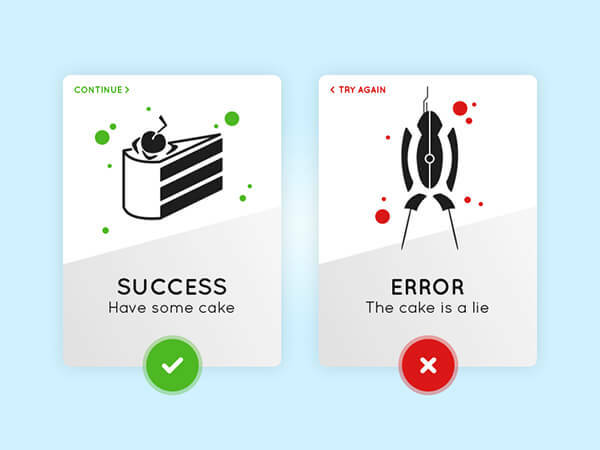 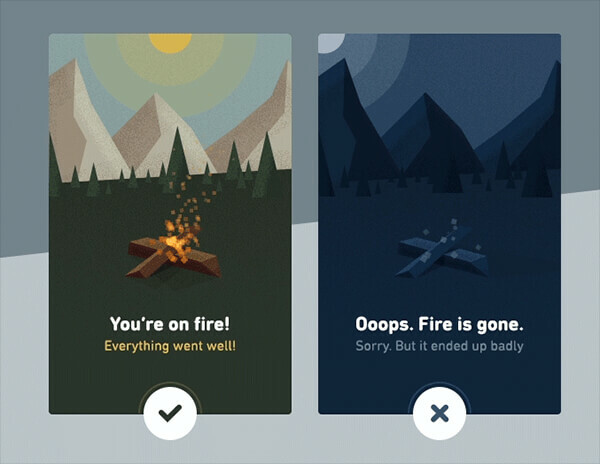 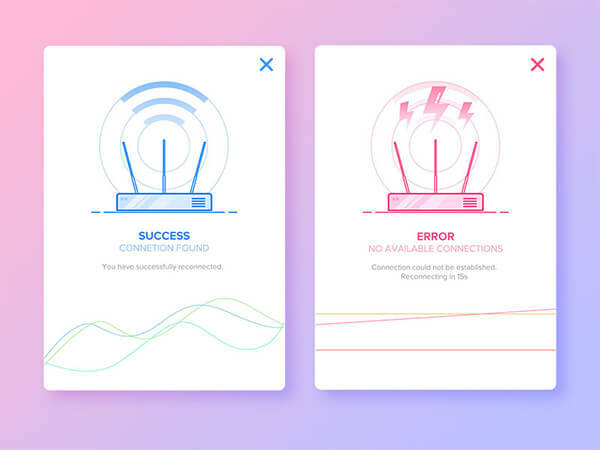 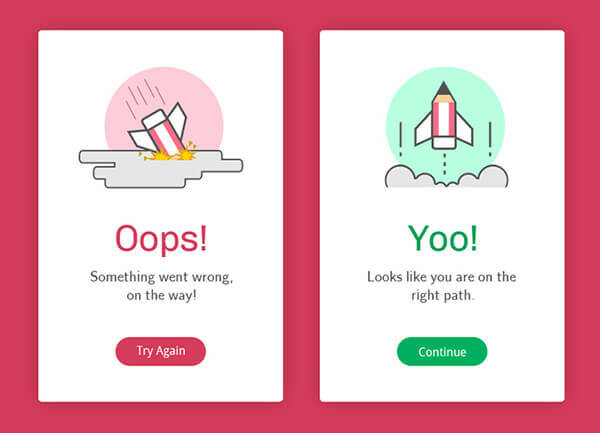 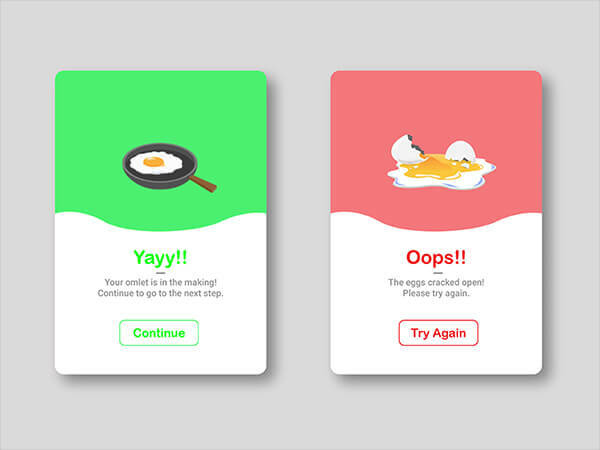 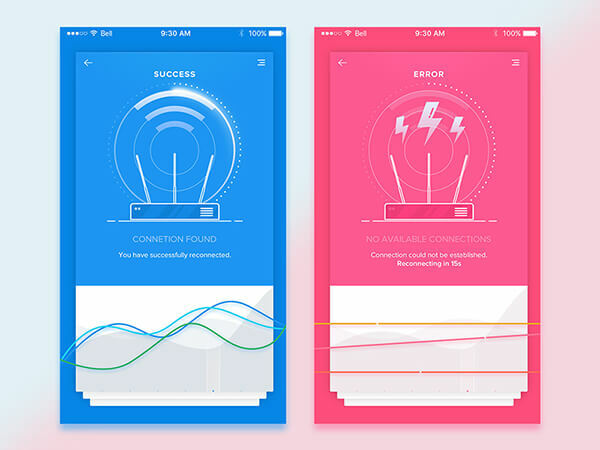 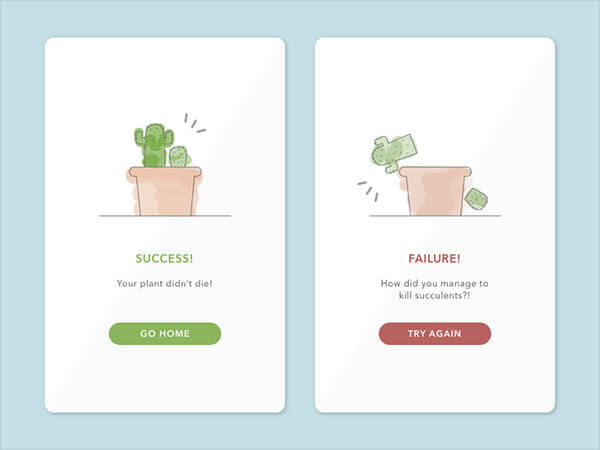 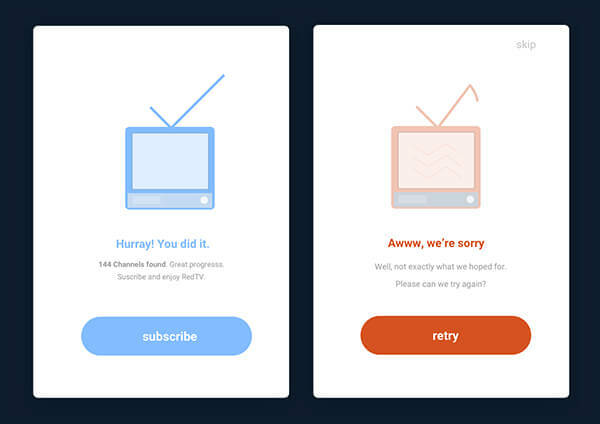 Here we handpicked some creative Success/Error Message Designs from dribbble. 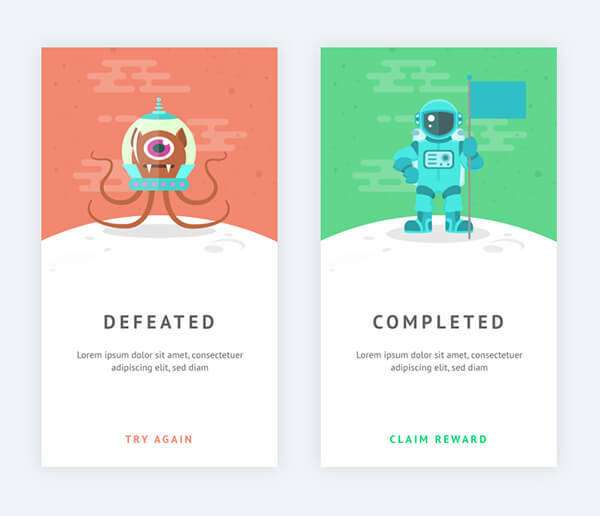 Compared with normal message, these ones are definitely more visually appealing. 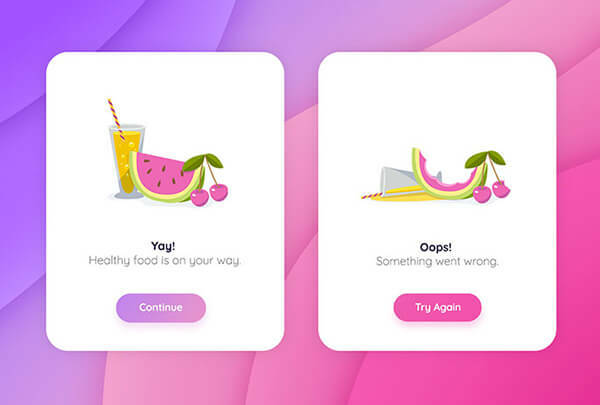 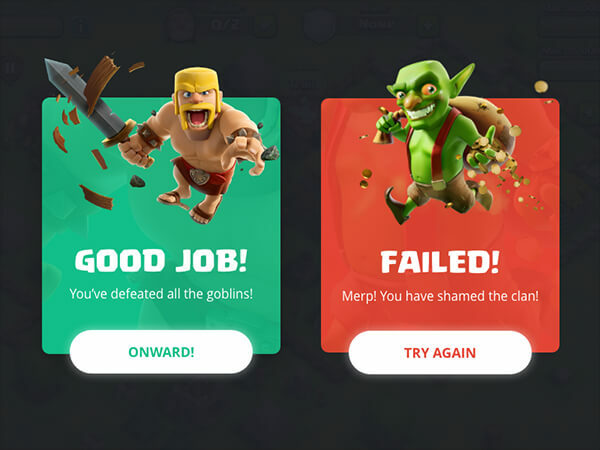 However, I have to see, graphically looking good is one thing, the content of the message is important as well, especially for the “error” message. 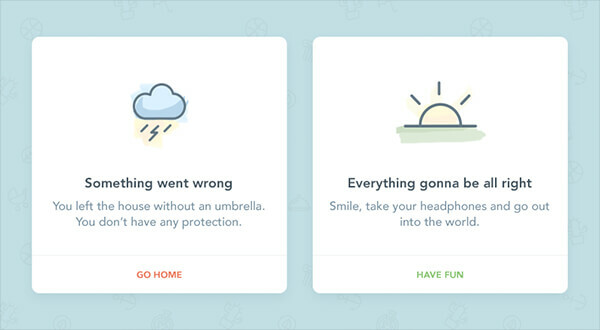 Let user know what’s wrong is more important than a good looking design.